The TURNEX150 has a straight lever bar and a trunnion at the forward end with a spindle passing through to which a threaded anchor adaptor is attached. A slide block assembly is mounted on the lever bar. 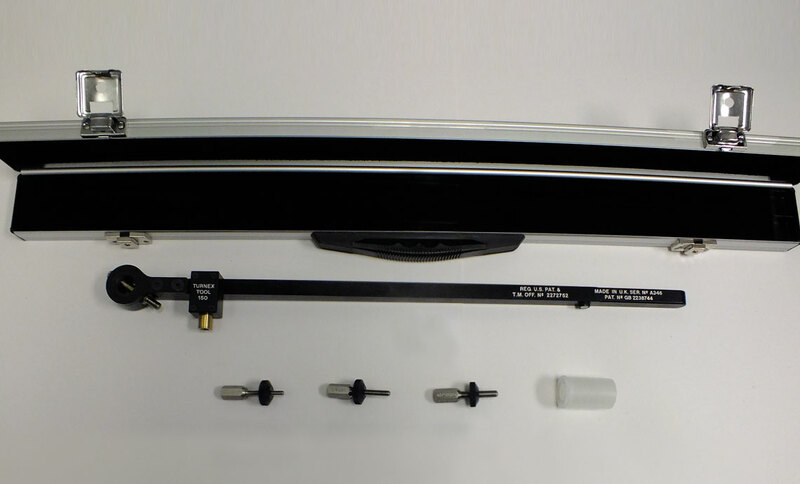 This system allows for vernier adjustment on the pitch of the screw. This kit is designed for use on leading edges, curvatures and tight radii on flight surfaces. Ideal for confined spaces ie working on floor panels with cabin seats fitted.